Carolyn Herriot is a champion of REAL food. Regional, Environmentally-responsible, Agricultural Land Use. I met her by chance at her Incredibles farm stand in Yellow Point on Vancouver Island, British Columbia, Canada. A farm stand where anyone at any time of the day can purchase organic, heritageopen-pollinated (non GMO) food plants grown just down the road on several acres of land that she and her husband acquired not too long ago. Carolyn is not new to the business of real food and has been growing and preserving food in the form of heritage seeds for several decades. I immediately loved her enthusiasm and concern for seed saving and her definition of food security: “make sure your neighbour is fed“. Carolyn and I both agreed that such ideas about sustainability and food security can seem a bit mad and yet on Vancouver Island, we can share such ideas and are free to think about the future of food. The author of three books about her journey with another major project on the way, she is unstoppable. Her current project, which started in March 2016, involves the self serve, honor system farm stand and whether such an endeavor can be profitable enough. “I’m going to see if I can make money doing this and then I’m going to write a book about it.” So I asked her if she would be willing to chat with me about her ideas and her journey. She kindly agreed. I met with her at her lovely home and we did just that, chatted. No formal interview questions, just a regular conversation about our passions: local, small scale, sustainable production of food which basically means moving away from conventional, single crop/plant/livestock species production of food. So how do we make sure that “our neighbour is fed”? Carolyn Harriot may just have the answer. 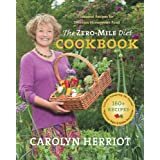 One of the questions posed by Carolyn Herriot in The Zero-Mile Diet Cookbook: Seasonal Recipes for Delicious Homegrown Food, is “How could it be that while we send spaceships to Mars we don’t know how to feed ourselves down here on earth?” Carolyn is an optimist and a futurist and she gets to the point. She is referring to the state of food security, monoculture-based farming practices, climate change as well as the North American consumer’s growing awareness of the current agricultural agenda and increased willingness to vote with his or her dollar. Carolyn has been a vegetarian for 45 years and has been working to ensure that there is a future where there is enough food. The problem and the solution, she states, are ultimately in our connection to food and nature. Why is it that most humans are disconnected from nature and have abdicated their power to grow food that nourishes and heals to chemical and pharmaceutical companies? 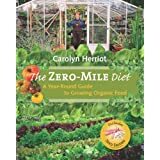 She wrote her cookbook, The Zero-Mile Diet Cookbook, as a companion to the Zero-Mile Diet Book to encourage the people to take their power back. “It was about empowering people to grow food and save seeds and putting those two things together. 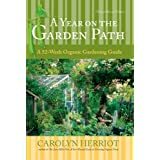 Growing food and saving seeds are often separated in vegetable gardening books; they never talk about saving seeds. My take on it is that you can’t have sustainable food production without including seeds and saving seeds and keeping them in the picture. And so with 38 countries now having banned genetically modified organisms (GMOs), the conversation turns to North America which has not jumped on the ‘banned-wagon’. What is it, really, that keeps consumers blissfully oblivious or indifferent to the fact that chemical companies are cornering the market on seeds and pesticides used in food production? North Americans have historically prided themselves on not having the wool pulled over their eyes; on having a strong voice. Where is this voice now? Have we really become so disconnected and apathetic about our diet that we are willing to hand over our future? Carolyn’s vision of what needs to be done to ensure the existence of REAL food is simple: Our connection to nature is the solution for the future. Although Carolyn looks at least 10 to 15 years younger than her calendar age, she told me that she is thinking about the last chapter of her life; the whole point of living, mortality, and what her legacy will be for future generations. She reflected on the act of planting and gardening and the feeling that there is something sacred about planting a tree – seeding the future for the future generations. After I took in the tsunami of thought provoking and visionary words of wisdom, Carolyn shared her husband’s definition of retiring: “Putting on new tires so that you can go for another round”. If we are to maintain a certain level of vitality (physical and mental) in order to “retire”, what we feed our bodies now and in the future matters. Food security is a 21st century challenge and opportunity. Ignorance is not a virtue nor is it an excuse any longer. We ended our chat with much optimism. “But it’s all good. We can make the future look any way we want”.